As part of REDARC’s continual push for product innovation and customer satisfaction, we recognised that the best way to improve and grow was to partner with the most respected experts the industry has to offer. With a wealth of 4x4, caravan, camping, travel and towing experts out there the only way to test our products and understand the needs of our customers was to collaborate with those who truly live and breathe the lifestyle. Each industry expert we align with carries with them their own unique experience, skillset and passion. And REDARC is proud of these long standing and valued relationships as we work together to help power the dreams of Australian audiences, helping guide and inspire them to get out on the road and create memories that will last a lifetime. 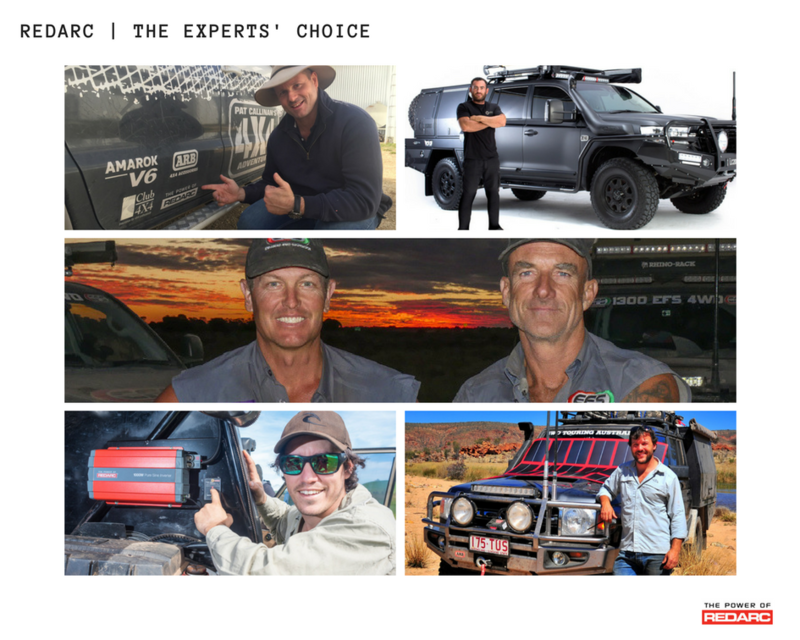 Click the logos below to learn more about our industry experts, read their travel and tech tips and watch exclusive REDARC videos showcasing some incredible locations around Australia and how our products have helped our experts conquer this great southern land.